First clone the Firmware repository, then install and setup the IDE of your choice. 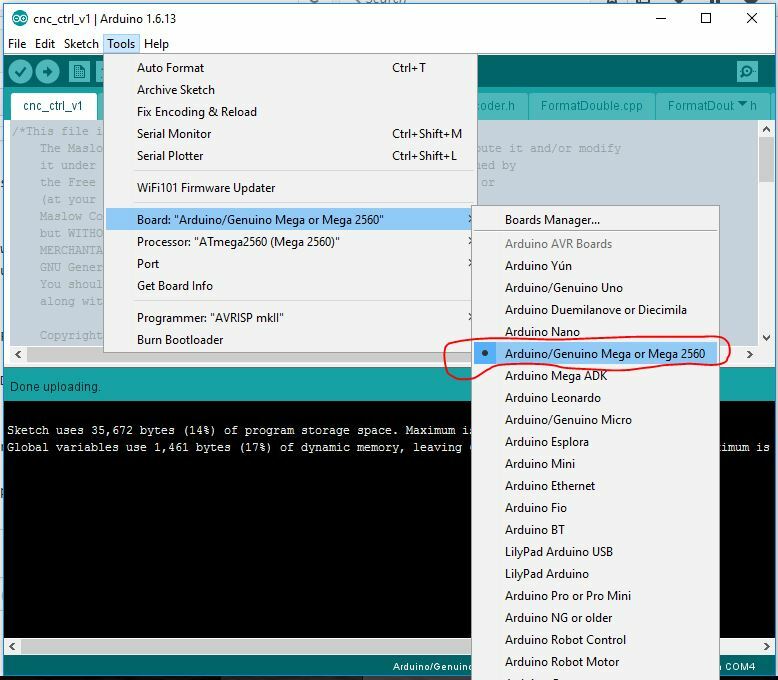 Navigate menu: Tools, Board, change to "Arduino/Genuino Mega or Mega 2560"
This should compile the project without errors, and possibly some warnings. Expand "General" and select "File system"
Eclipse asks if overwriting the original cncctrlv1.ino file is ok. Confirm with 'yes'. Select the project folder in the project explorer and click Project->Properties in the menu. In the right Pane select the 'Tool Settings' Tab and add the path to the source location to the include paths of all compilers/linkers of the toolchain. The last two steps may differ between toolchains. Installing new firmware on your machine is important. We come out with a new firmware version every other week so be prepared to do this regularly. This process will also install the proper drivers to connect to your Arduino on some older computers so if you have trouble connecting it can be helpful to do this process on the same computer you will control the machine with. 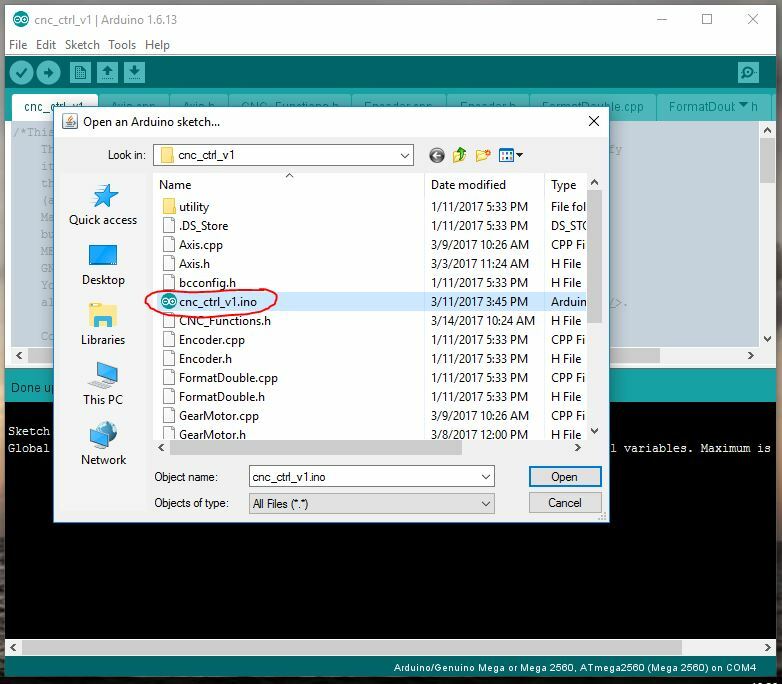 Connect your Arduino to your computer using the provided USB cable. 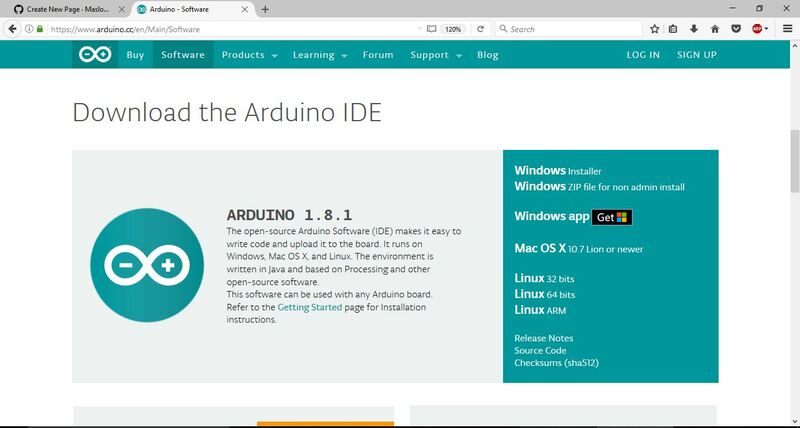 Download and install the last Arduino IDE from https://www.arduino.cc/en/Main/Software. 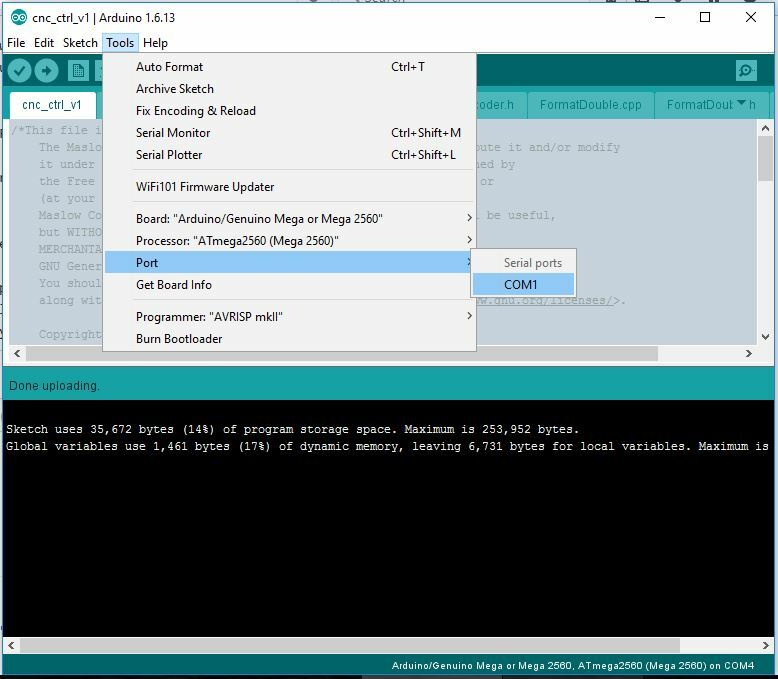 Older versions of Arduino IDE have problems with libraries when compiling the firmware, so make sure you have the latest version. Note - For Windows there are three options: "Windows Installer", "Windows Zip", and "Windows App". Some users have reported problems with the "Windows App" version. 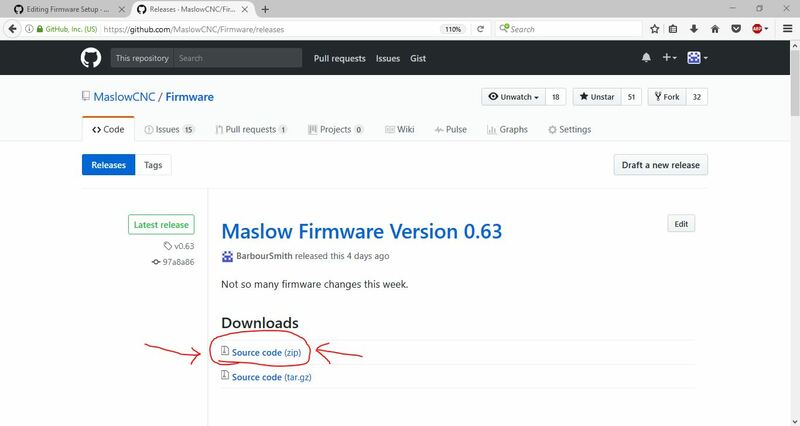 You can do this at http://github.com/MaslowCNC/Firmware/releases/ Click the zip file for the most recent release to download it. Extract the files from the zip folder. Select the correct port to connect to by clicking Tools -> Port -> Your Port. On Windows this will be something like COM3, on Mac and Linux computers it will be something like dev/tty/. You can find the right one by plugging and unplugging your Arduino compatible board and checking which option disappears. Upload the newest firmware to your machine by clicking the upload button in the top left corner. The arrow looks disabled until you hover over it! Linux users: if you are getting timeout or permissions errors, you may need to add your username to the dialout group and then logout and back in. Instructions here. You are now running the latest firmware. Great Job! Make sure you close the Arduino IDE before proceeding. You have finished setting up the Maslow firmware. Proceed to the next step to install Ground Control on your OS. The firmware is and always will be free!